To get rid of stains and yellow teeth, adopt Smile Spa teeth whitening kit! Easy to use, eco-friendly and formulated without peroxide for a safe use. By buying this product you can collect up to 33 loyalty points. Your cart will total 33 points that can be converted into a voucher of 1,65 €. 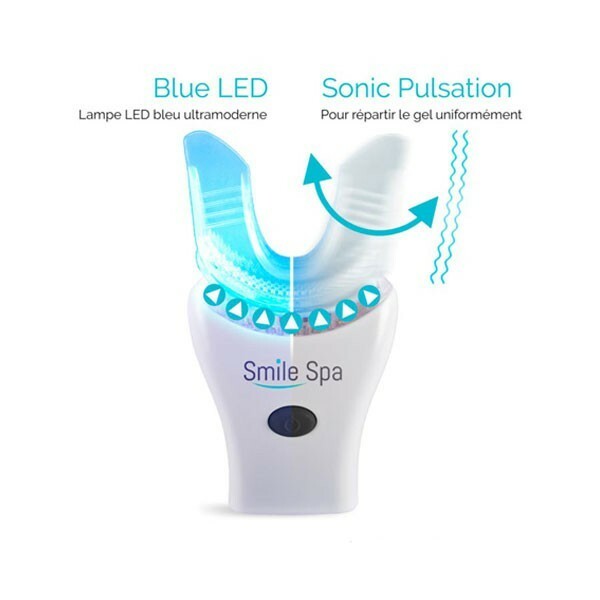 What is Smile Spa Teeth Whitening kit? Coffee, smoking, food or beverages produce staining of enamel and yellowed teeth. Smile Spa teeth whitening kit aims at removing stains for whiter teeth and a beautiful bright smile: a professional teeth whitening at home! 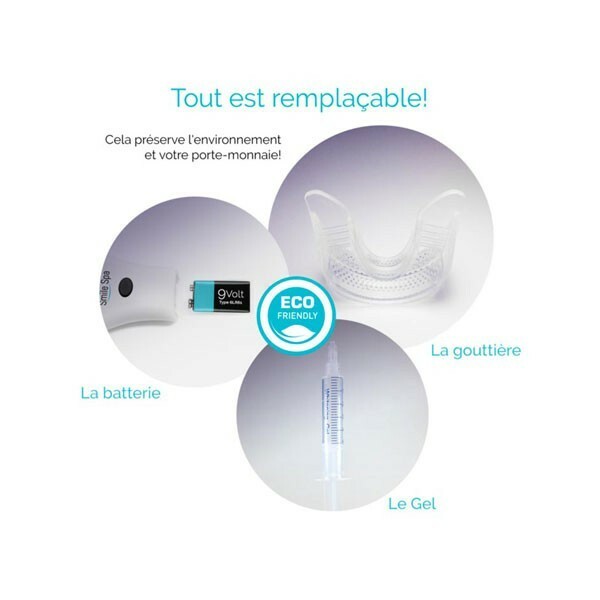 The kit is easy to use and eco-friendly because it’s reusable! You can shop the whole kit or only the refill to reduce waste and save money! 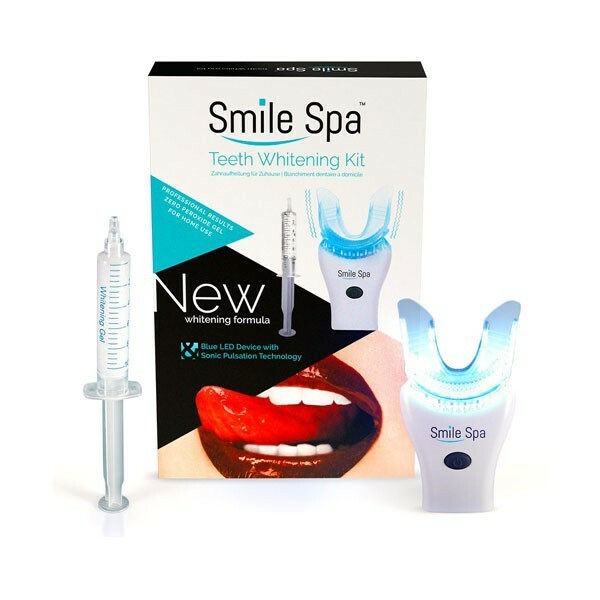 How to use Smile Spa kit to have white teeth? Compare again your teeth colour to the colour scale. You can repeat the treatment once more if you want more whitening. It is recommended to avoid dark food/beverages during 24 hour after the teeth whitening. After 2 consecutive treatments, you will have to wait at least 3-4 days before using it again.